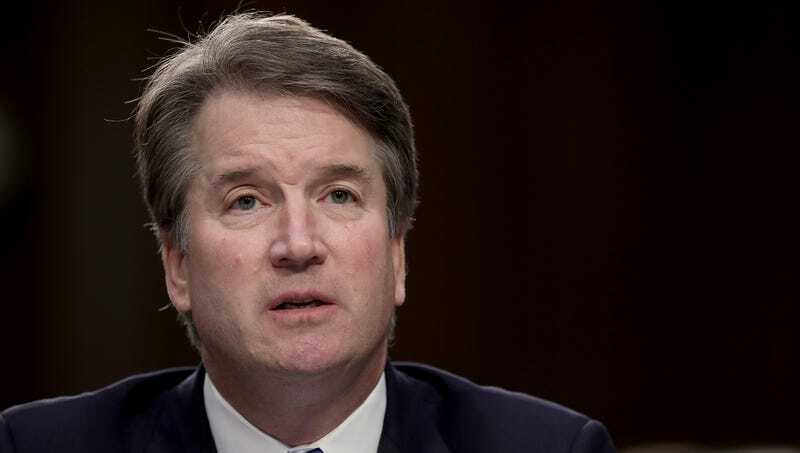 WASHINGTON—Saying the continued attention from his former flame was beginning to border on obsession, Supreme Court nominee Brett Kavanaugh told reporters Tuesday it’s super embarrassing and sad that Christine Blasey Ford is still in love with him. “It’s just so awkward that she keeps holding a candle for me even though it’s been, like, 35 years now,” said Kavanaugh, explaining that while he and Ford may have shared a romantic moment as teenagers, it’s “kind of pathetic” that she continues to dwell on it. “In a way, I’m flattered, I really am, but at this point it’s starting to get a little creepy. I hear she’s even telling her therapist about me. Apparently, some people just never move on from high school. It’s like, come on, Christine­—it’s not going to happen, okay? Sorry.” Later, the visibly distressed nominee expressed his hope that there weren’t too many other loves from his past out there who have yet to get over him.